Any Questions for the crew? Want to be a contributor? Have a story you’d like to submit? or anything else just fill in the blanks and we’ll get back to you. We hope you would consider supporting the below organizations. They are the reason we can continue to positively cover our local teams, athletes and coaches. Click on the company image for more info. *** Finally, if you are a company or know of one that would like to partner with us please hit the contact button above. We really want this to take off and a couple partner’s would help immensely. Spring and Fall maintenance for your lawn. Open up your soil so your grass roots can grow deeper and stronger. 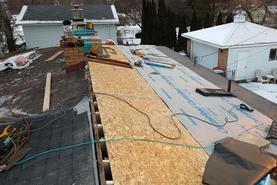 Macomb County Roofing, Commercial and residential. Baseball & softball equipment, team uniforms, embroidery, screen printing.